I always make homemade pizza at home because it is so easy to make, I only need slice of bread or store brought pizza dough + my choice of toppings. 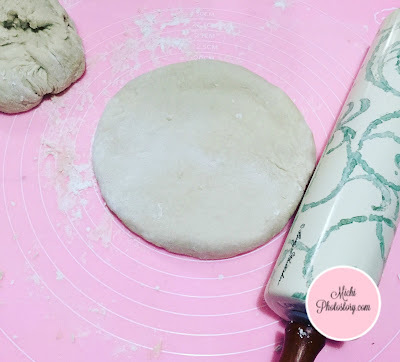 I know I can make my own pizza dough but I’m so scared when I see yeast in the list of ingredients because I tried making bread before and it was not successful. But few months ago, I attended a Bread Making Class so it gives me the confidence to try baking with yeast. 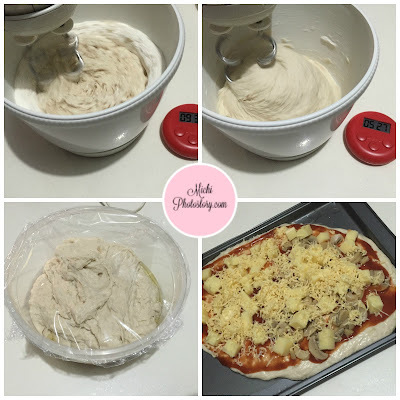 Last month, I tried making pizza dough from scratch, I just look for recipes on the internet. It was my first time so the shape of the dough is not round and I put so much cheese so it overflows. My husband likes the dough because it is so soft even it is no longer warm. 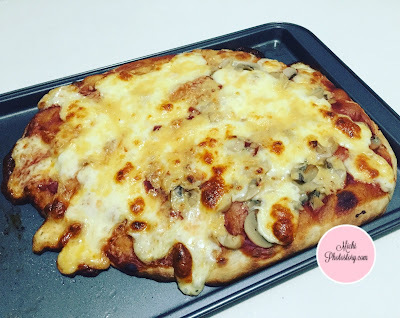 Last weekend, I made a homemade pizza again but this time, I tried a new recipe and I was happy because I was able to make a round dough. Hehehe! I did not put a lot of cheese to avoid overflowing. Ending, kulang sa cheese ang result. Hehehe! The dough is on chewy side so my husband prefers the first pizza dough but my son liked this pizza compared to the first one. Waah! I will try another recipe or I will try to experiment on my own and will just update this post for the recipe. I salute you for making homemade pizza dough. 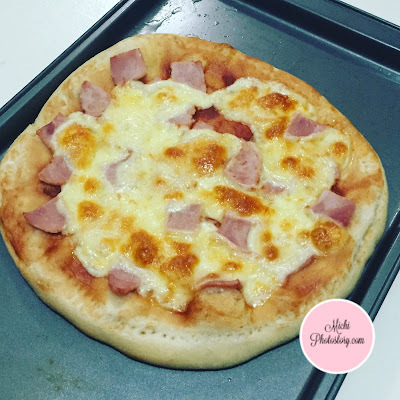 It looks delicious!I love little chewy pizza, yum! Wow! Since the day my husband worked abroad, Sya na lagi ko naiisip pag may pizza. :D He works in a pizza company. Good Job on homemade pizza dough! Your pizza looks so delicious!